We absolutely adored the action-platformer Celeste when it arrived on the Switch eShop at the start of this year, so we're glad to hear more content for the game could potentially be on the way. The replies to the tweet are a mixed bunch. Some fans believe it's a level creator for the game while others think it's possibly DLC, an expansion or perhaps even a sequel. What do you think it could be? 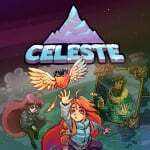 Did you download Celeste on release? Tell us below. Whatever it is if it’s anything like Celeste I’ll be buying day one! Yes please. One of my favourite games of all time, I would love more content. If it's paid DLC, I'm 100% onboard. Yes! Yes! All of my yes! I loved Celeste and I'm seriously considering buying Towerfall (if it had online it would be perfect). I'd buy a Celeste Maker, but if it turns out to be a full-on sequel, I might just froth at the mouth in excitement. I'd absolutely love DLC or even a sequel to the game. Would get it in a heartbeat. I'd definitely have gotten Towerfall if I actually had people to play it with too when I heard Madeline was in it, but... yeah. @Trvial If you have a PS4, that version of TowerFall can be played online. It doesn’t natively have online play, but any PS4 game can be played online with Screen-Share. I used it specifically in that game, and it worked great. Would be nice if there was a level editor. Since Celeste is my GOTY and imo probably one of the best games ever made, I'm beyond hyped for this. However, having played Celeste, I got a heart attack looking at that gif. I sense at least 50 deaths after attempting that level alone. Oh my, judging from this comment section alone it seems like I'm missing out on this game. But I want all of those things. Can’t we just have all if them? I'd guess it's a level creator. Bought the game on release and still my GOTY without a doubt. I wanna get physical, physical. As an aside - compared to, say, Shovel Knight, how hard is Celeste? @janpampoen Celeste is as hard as you want it to be. There are a ton of settings you can adjust to make the game more accessible. It is quite a bit harder than Shovel Knight on its standard difficulty, but it's NEVER unfair and keeps pushing you to do better. It's sort of the point of the game and its story as well. You should definitely play it, and if you do find it too overwhelming, like I said, you can make the game easier if you want at any time! @NicolausCamp I would say it is a bit harder than shovel knight but the instant respawn and the many checkpoint make up for that. @NickOfTime90 That's true. Celeste is "harder", but also more forgiving in that sense that you only have to complete one "screen" at a time. If anything, I'd compare Celeste to Super Meat Boy, but not as tough as that one. It should be a physical version. I will buy anything it comes day one. As many said before Celeste is GOTY!! @NicolausCamp yeah that's about right. Level creator would be really nice but we need Mario Maker on the device. Come on, Nintendo! I’m still holding out for a discount, but all the great comments above make me feel cheap and like I’m missing out. I just worry the difficulty will be a bit much for me, and I’ve been burned before buying indie games at full price when they usually go on sale soon afterwards. Celeste seems to be the exception. Glad to see the game back in the news... whatever is coming, I hope it's good. This... Looks like xmas DLC. With as much success as Celeste has been enjoying, I'd expect a sequel/prequel/expansion/game-of-the-year-edition to be in the works for sure. Oh, I will lap this straight up. I can't remember if I 100% completed this game or not, but I was definitely on one of the last things. I loved Celeste, easily one of my gaming highlights of the year. I'd be happy with DLC to be announced, but I'd much prefer a direct sequel. Tighten up the characters and story a bit (don't get me wrong it was very good, and truly charming, but it could be made even better with some fresh eyes on it - and parts of it were a bit weird, like the Resort...), add in some new features and base it in a new setting (a volcano could be cool) but keep the gameplay mechanic the same as that's already class! There is far too much content in Celeste already. I made pretty good progress getting all the strawberries but those B-side levels are just not happening. And I saw a commenter somewhere mention C-side levels... Lord almighty I hope that was a typo.